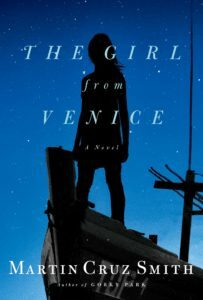 A suspenseful World War II love story set against the beauty, mystery, and danger of occupied 1945 Venice. One night, under a canopy of stars, a fisherman comes across a young woman’s body floating in the lagoon. She is still alive and in trouble. Born to a wealthy Jewish family, she is on the run from the Wehrmacht SS. An act of kindness leads to the world of Partisans, random executions, the arts of forgery and high explosives, Mussolini’s broken promises, the black market and gold, and, everywhere, the enigmatic maze of the Venice Lagoon. Martin Cruz Smith is the consummate researcher, but he doesn’t bog the break-neck pace of his plot down with blocks of historical fact. By the end of the book, however, you will have an in-depth understanding of life in Venice and northern Italy as the war drew to a close. In this thriller, the pope has died. Behind the locked doors of the Sistine Chapel, one hundred and eighteen cardinals from all over the globe will cast their votes in the world’s most secretive election. They are holy men. But they have ambition. They have rivals. Over the next seventy-two hours one of them will become the most powerful spiritual figure on Earth. 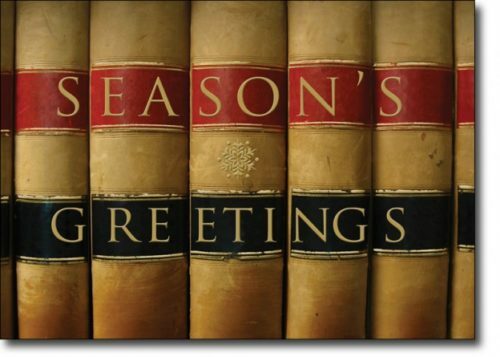 The classic English mystery novel often involves a locked room. The suspects gather in an enclosed space. They cannot wander out or establish their alibis. They are trapped with each other as social rivalries, hidden love affairs, and old enmities emerge. A conclave of cardinals charged with choosing a new pope after the incumbent dies fits this tradition nicely – one of the largest locked rooms ever. 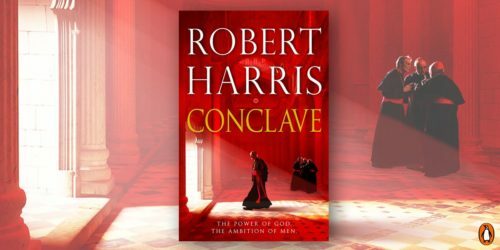 Even the word conclave itself, from the Latin clavis, or key. An electrifying novel about marriage and deceit follows two couples on vacation in Siracusa, a town on the coast of Sicily, where the secrets they have hidden from one another are exposed and relationships are unraveled. This is a story of two complicated marriages, one vulnerable child, and a trip to Italy that changes each of their lives forever. 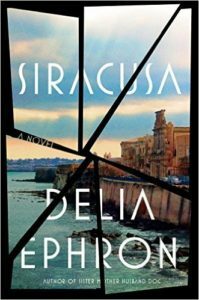 Ephron excels at re-creating the atmosphere of Siracusa, with its serpentine streets, rocky outcroppings and “tattered” buildings. 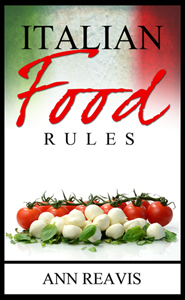 Her writing captures the tastes and aromas of the markets and the restaurants, where her characters savor wine, oranges, gelato, figs and spaghetti alla vongole. Ephron delivers a powerful meditation on marriage, friendship, and the meaning of travel. Set on the sun-drenched coast of the Ionian Sea, Siracusa unfolds with the pacing of a psychological thriller and delivers an unexpected final act that none will see coming. This page-turner is thrilling mystery set in the Renaissance City. An explosion rips through the Easter festival in front of the Duomo in Florence, Italy, but no one claims responsibility. The vicitms are not only Florentine, but also visitors from throughout the world. The security forces of Europe and the United States join together to hunt down the killers. 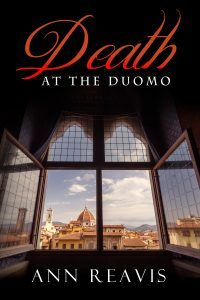 Caterina Falcone, a Florentine investigator, and Max Turner, an agent from the U.S. Embassy, team up to find out why an American student was at the cathedral when the bomb exploded. Max hunts a bomber who sows death around the globe. Inspector Falcone believes the identity of the perpetrator can be found close to home. Together they race across Tuscany to stop a killer before more people die. 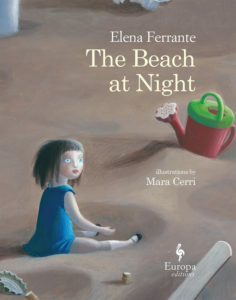 This picture book about a lost doll on an Italian beach is aimed at readers aged 6 to 10, but the famed Elena Ferrante, author of the best-selling Neapolitan novels, doesn’t sugarcoat things for young readers. It is best for the fans of the original Pinocchio by Carlo Collodi, rather than the sugar-coated Disney version. The writing is poetic and evocative, but some parents will find the story too scary for some children. Every fan of Ferrante’s novels should get a copy for their libraries. Told from the lost doll’s point of view after she is abandoned by her young owner to face nighttime terrors such as the Mean Beach Attendant of Sunset and his friend, the Big Rake. Celina, the doll, has a terrible night, one full of jealousy for the new kitten, Minù, feelings of abandonment and sadness, misadventures at the hands of the beach attendant, and dark dreams. But she will be happily found by Mati, her child, once the sun rises. What do you get when you stitch Othello, The Merchant of Venice, and “The Cask of Amontillado” together? 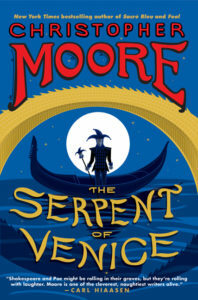 Well, you get this rollickin’ adventure in which Pocket, the Royal Fool introduced in Moore’s Fool (2009), is lured to Venice, where he thinks he’ll be having a fun time with the beautiful Portia, but where three men (including a guy named Iago) are actually planning to murder him. The upshot is, if you’re the kind of reader who insists Shakespeare is untouchable, then this novel will probably annoy you. On the other hand, if you’re a fan of Moore’s brand of history-mangling humor, you’ll dive right in. 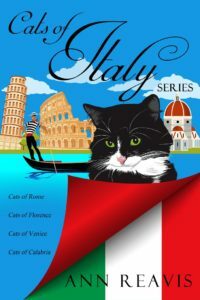 The cats of Italy lead rich and adventuresome lives in this book of four short stories. Cicero and Flavia race to save a cat sanctuary in the center of Rome. Dante and Guido take a friend on a quest that goes awry in a medieval tower. Regina falls into a canal, is rescued by Fosca and Casanova, and becomes queen of the regatta. Vanda and Pussipu love their lives in Calabria, but not all the Southern Italian cats are so lucky. Cats of Italy is a compilation of four short stories: Cats of Rome, Cats of Florence, Cats of Venice, and Cats of Calabria. These tales will enchant cat lovers, both young and old. Those who are fascinated by Italian history and culture will find the little-known (but true) feline facts in these stories will enhance their next visit to Italy.